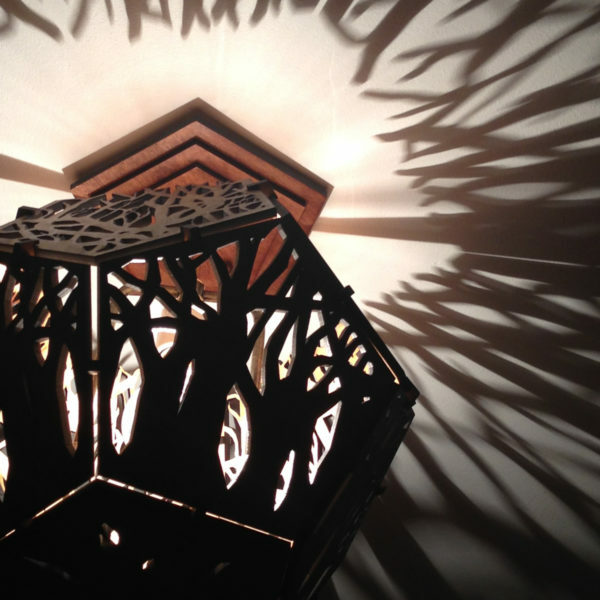 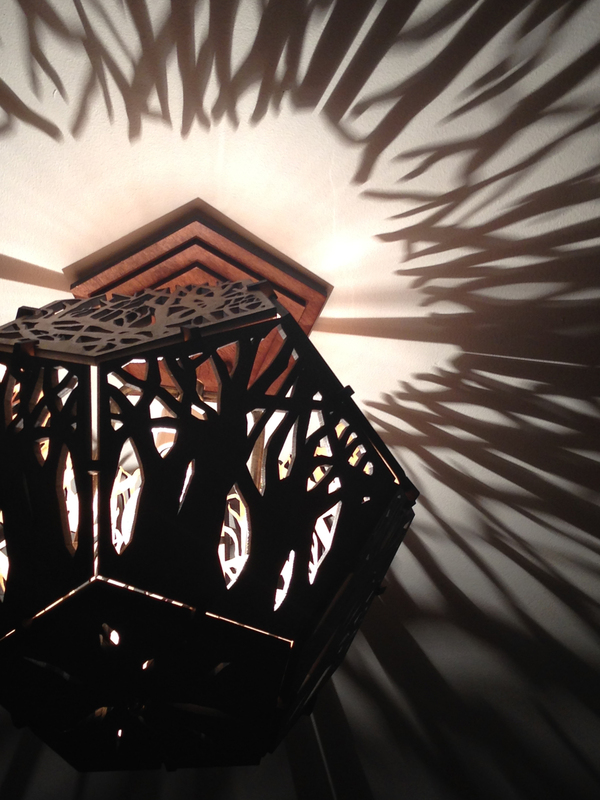 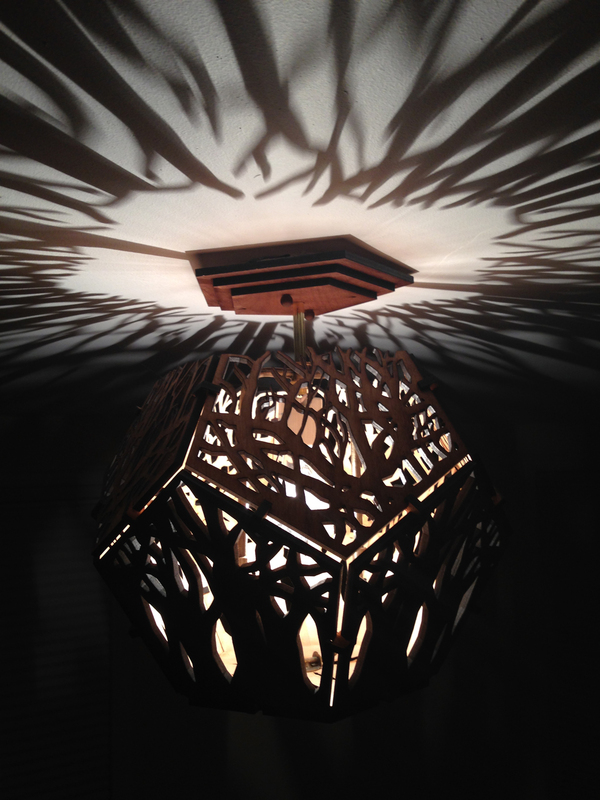 Inspired by the Tree Shadow Table Lamp, this full size fixture transforms an entire room into a shadowy forest! 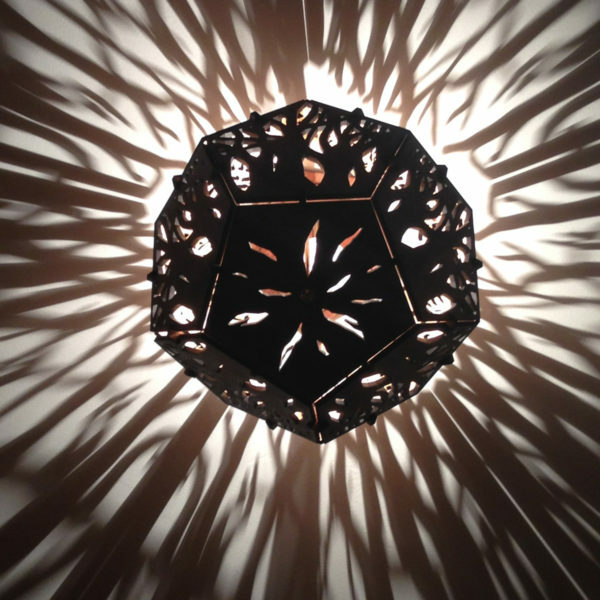 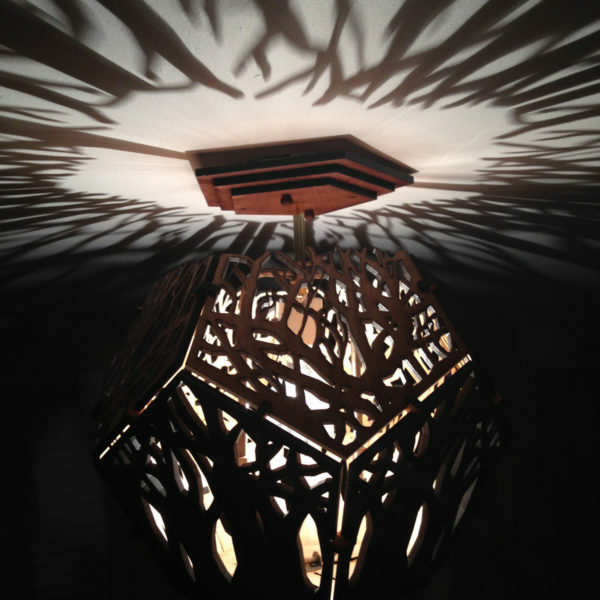 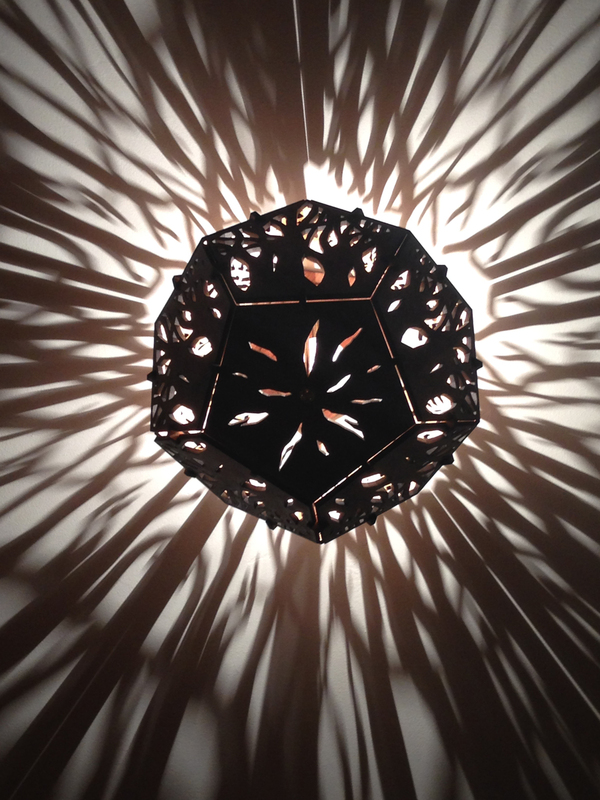 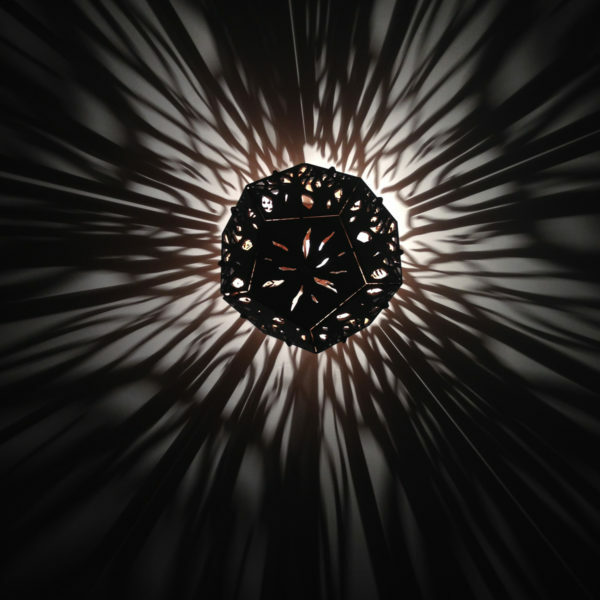 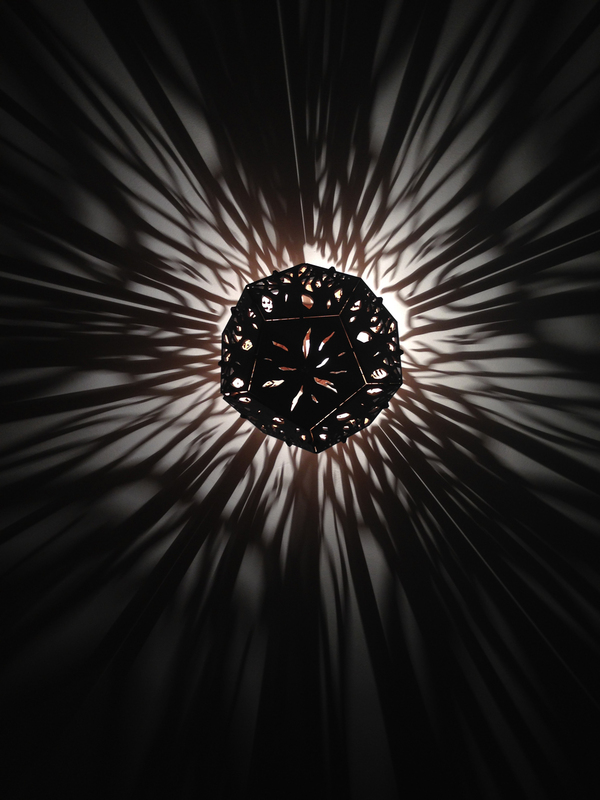 Cut from reclaimed MDF, the intricate tree branch patterns climb up the sides of the dodecahedron form, creating a complex sculpture when unlit. 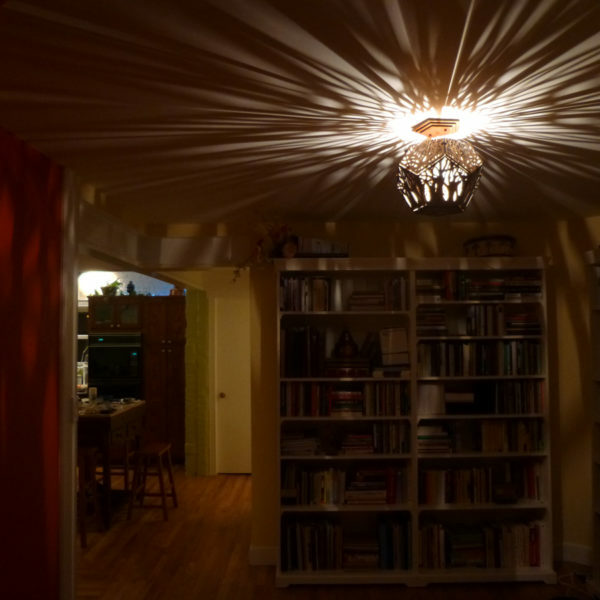 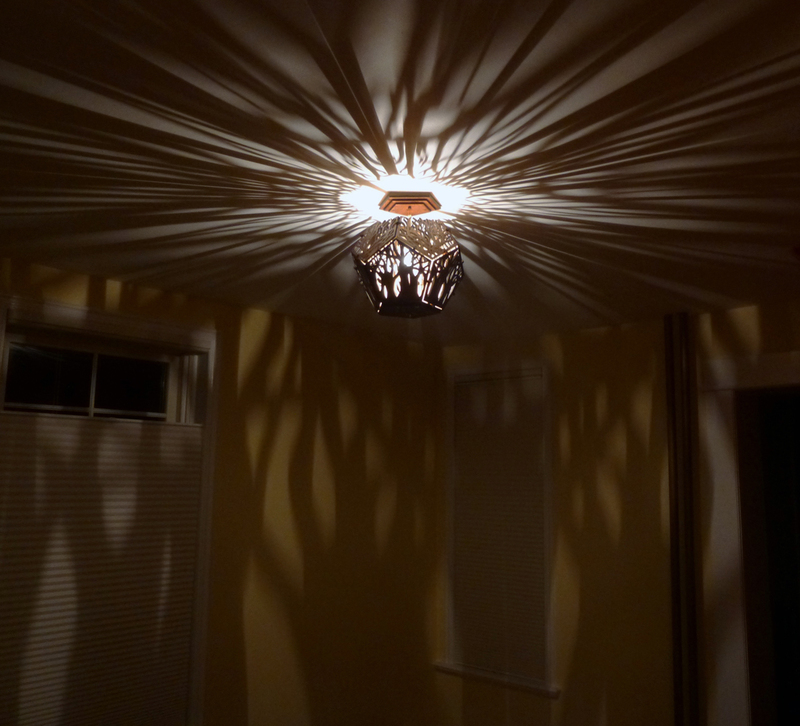 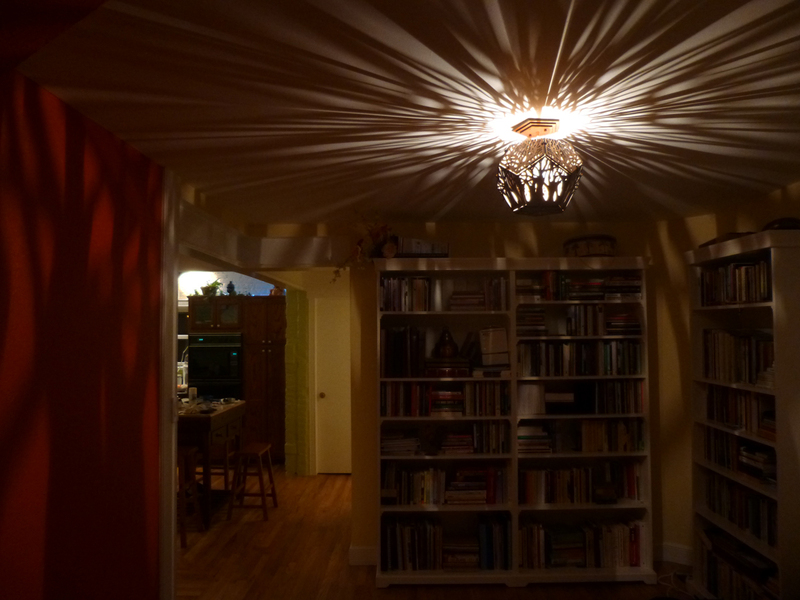 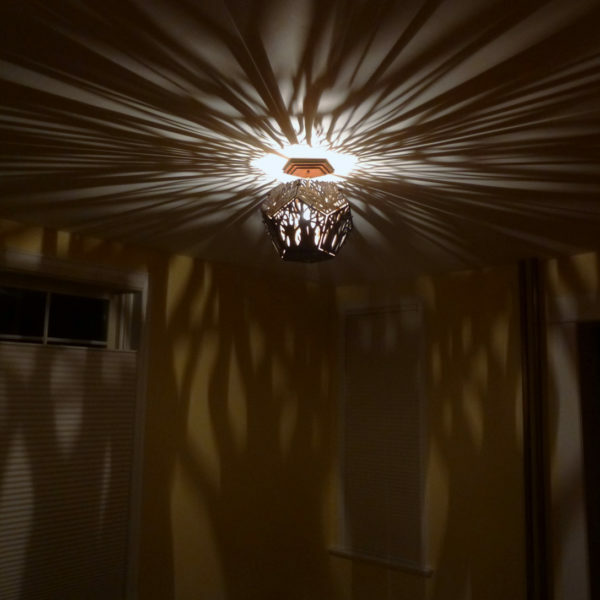 Once illuminated, this unique fixture transforms the entire room!